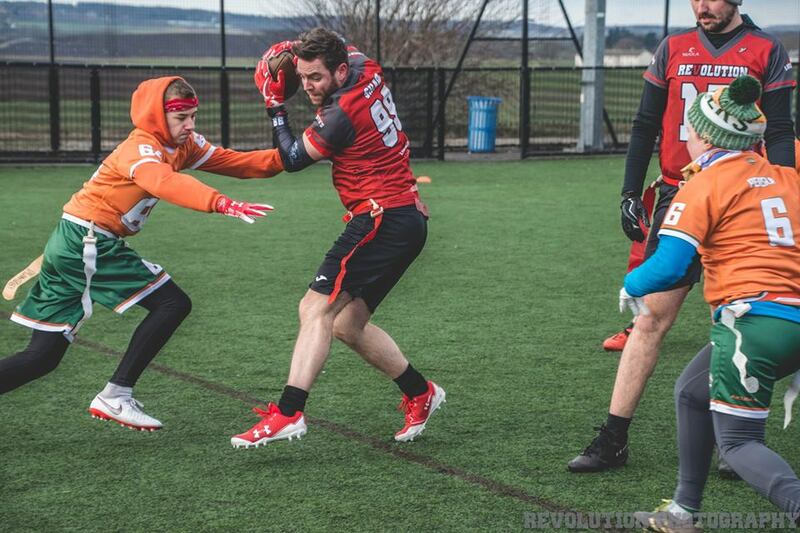 The Warrington Revolution and Nottingham Honey Badgers ran roughshod over Division One on the way to promotion – the Revolution overcame the Samurai in the promotional playoff, while the Honey Badgers went up automatically. The Manchester Titans topped the table last year, while the departing Sheffield Giants took the other playoff spot. With the Giants now gone, it’s between the Sheffield Vipers Green and Manchester Crows to fill the void. The Titans were the toast of the town as they raced to an early division lead that they would never relinquish. The Giants came second, despite a late surge. The Manchester Crows were able to pip the Sheffield Vipers to third spot, while the Newcastle Blackhawks and Leeds Samurai were resigned to relegation. Obviously the Giants leaving is massive. This provides a huge opportunity for a team to step up for a playoff position if they’re strong enough. With the new format of four teams from the two Northern divisions making the playoffs, the MEC are going to need someone to rise up in order to displace one of the three HNC powerhouses. For this, the Manchester Crows have everything going for them. They overcame a difficult set of cross-conferences games to finish 8-7 in 2018. If they build on that momentum, and keep the wins against division-foes rolling, then they could mount a serious challenge for the playoffs. On top of the Crows’ good form, their closest rivals, the Sheffield Vipers, might be heading for an unfortunate tailspin. Rumours are abound that QB Keith Woodley could be on the outs. We still love the talented Luke Bennett and Dan Sellwood, but the Vipers look like they’re in for a relegation dogfight without a serviceable gunslinger. Then you have the Revolution and Honey Badgers. They’ve become accustomed to winning. Can they rock the boat and challenge for the playoffs at the first time of asking? The Crows and Vipers we’ve discussed, but the big team are the Manchester Titans. 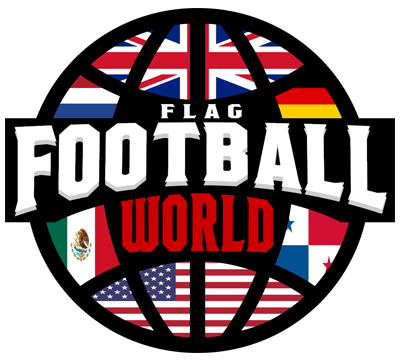 As one of the UK’s most well respected and successful football programmes, their flag team has been in the ascendancy the past few seasons. Their division title was huge last season, but they fell at the first hurdle against the London Rebels. 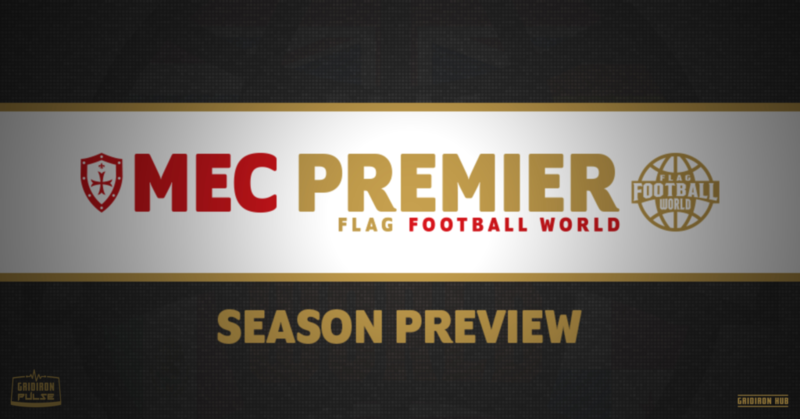 Their tight losses could easily swing to wins with a little bit of defensive rigidity – can they push for a top 3 place, or even a Britbowl, this season? Dan had a phenomenal year last year; there is nothing this man can’t do. He can play well on defence and he can catch and make people miss on offence! 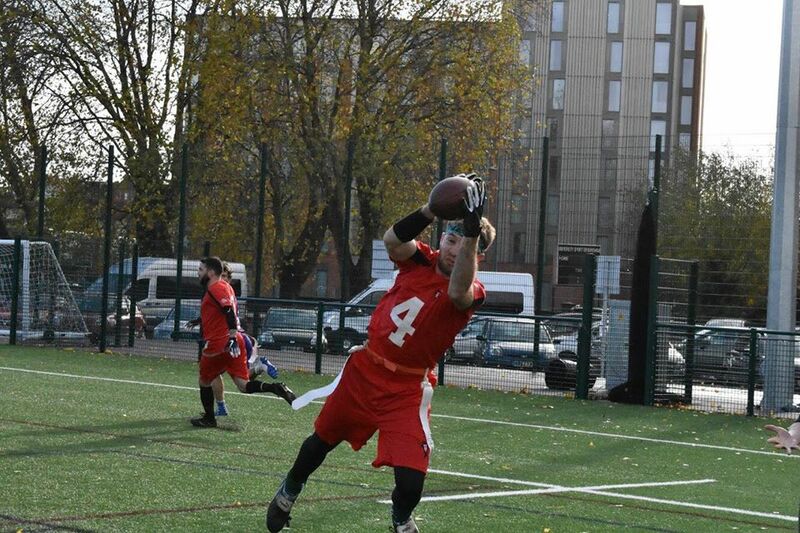 Despite the potential loss of Keith Woodley, Dan has the ability to make the next QB for the Vipers look like a star. Andrew is a down right baller! Don’t let his height fool you, this guy will fight ANYONE for the ball. 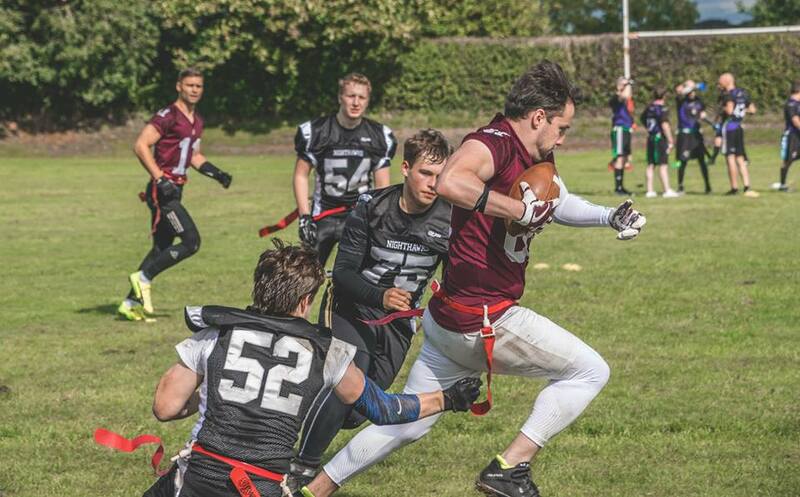 A rookie in the BAFA leagues (Andrew has played in Canada) this man could be a game changer. He is yet another target for QB Alan Mead to hit. Andrew is our tip for a top 5 finish in our Top 5 Offensive Players for the season! Watch this space. This is a bit of a cop out, seeing as Jake was comfortably one of the best players on both sides of the ball in Division One for the Revolution, but we’re very intrigued to see how Jake does against the step up in competition. Our prediction? He’ll continue to be a real threat, particularly on offence. We wouldn’t be shocked if he put up another 20+ TD season. We’ve got the Titans winning to make it two titles the bounce for the Manchester mob. The Crows will be second in the division, but they might miss out on a playoff spot if they don’t stay consistent within the division, and pick up some cross-conference wins. Last year was a tumultuous time for the Crows when they took on the HNC – if they can go 3-3 or better, they could sneak in. 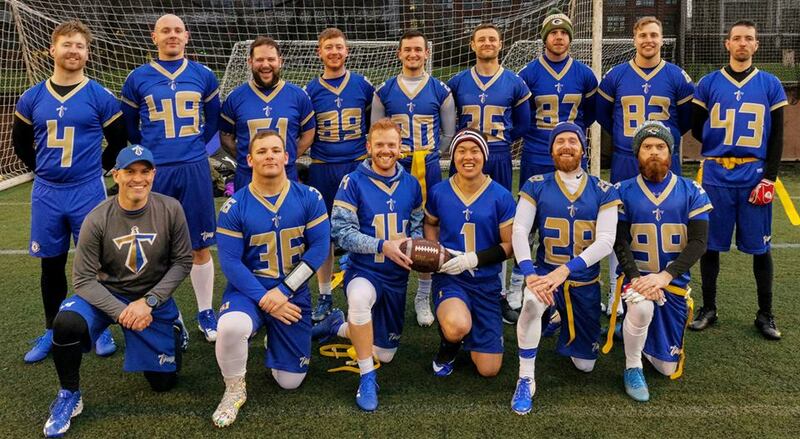 We’ve been awfully quiet about the Honey Badgers, but they’ve got an exciting team. Last year their two headed monster of an offence wasn’t able to get the job done in the playoffs, but we think they’ll have a bit more success than the Revolution. The Honey Badgers have history with the teams in their division, while the Revolution might take a couple of game-days to adjust. Overall, they’ll be safe though, as we have the Sheffield Vipers in the relegation playoff spot. We’re just not sure how they’re going to look without Keith, who was such an integral part of the entire set up. They’ve lost two veterans in two years with Mike Sullivan departing in 2018 – the rest of the roster will need to step up in their absence.